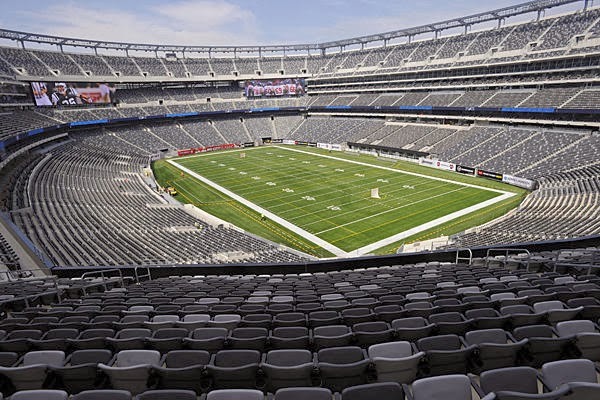 Just less than three weeks left for the Super Bowl XLVIII to kick off and automobile companies are lining up to promote their brand during the big game on February 2 at the MetLife Stadium East Rutherford, New Jersey. For some auto companies $4 million for a 30-second slot during the big game is a good price to pay to gain a head start in promoting their brands early for yet another banner year for the auto industry of America, especially that there are over a hundred million people that will be watching this game. First on the list is Audi with its all-new A3 sedan. This will be the seventh year in a row that Audi will advertise during the big game. It bought a 60-second ad slot to promote its A3 line. This ad is an early promotion for their A3 to be released in spring. Chevrolet is back with two commercials after it sat out during the last Super Bowl. Chevy will be launching a string of top of the line vehicles this year, including the all-new 2014 Impala, the 2014 Chevy Stingray, the 2014 Chevy Silverado 1500 First Drive, and more. According to General Motor’s global marketing boss Tim Mahoney, the big game is the best venue to showcase these new car releases this for this year. Mahoney was Volkswagen U.S. marketing department head when the brand was using “The Force” back in 2011. Next on the big time car brand roster is Chrysler, which has Super Bowl promotions in three years by producing unforgettable short films that features celebrity cameos. Those ads were more about style and swagger than substance and selling. Chrysler short films have become a tradition to the big game’s ad stage, making Super Bowl impossible to imagine without it. The company has been lip locked on any details about their advertisement for the big game though. This car brand is well known to be working on their creative aspects until the 11th hour. Ford will also be coming back to the Super Bowl ad stage, but has not disclosed any information about the theme of their advertisement and how long it would be. Its sister company, Lincoln, was in last year’s Super Bowl ad with two slots. Jaguar will be back with its F-Type coupe with a British Villain theme advertisement. Toyota will be back with a 60-second spot promoting its Highlander crossover. Volkswagen will be back for the fifth straight year with real German engineers about how their being obsessed with perfection can be somehow funny.